The Bugeater started with Warhammer 40,000 and Warhammer Fantasy eight years ago. 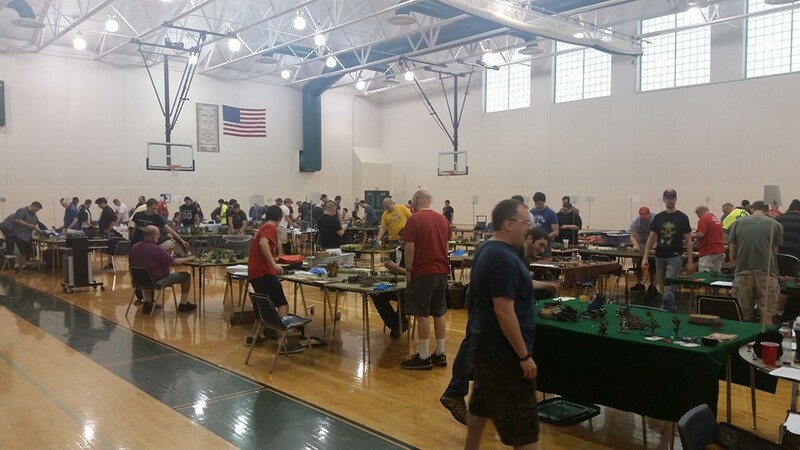 Since then the two day Warhammer 40k GT has become our largest and longest running event. 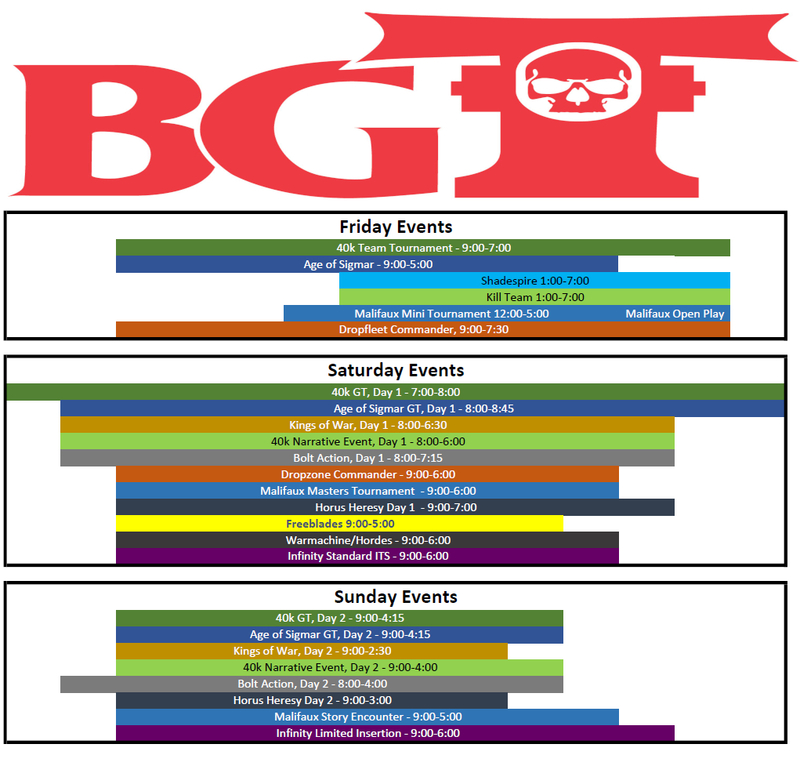 We also have events for Kings of War, Warmachine/Hordes, Horus Heresy, Bolt Action, Infinity, Dropzone Commander, Dropfleet Commander, Malifaux, Freeblades, Shadespire, Kill Team, and more! We also put on the Bugeater Cup, where we allow you to declare club affiliation and see who is the best club competing at our event. The top four point earners from your club for each event are factored into an overall score, and we will announce the Best Club for 40k, Kings of War, Bolt Action, and the overall Best Club at the tournament.